Former U.S. Senator Tom Coburn, a physician and adviser to the Manhattan Institute’s “Project FDA,” writes at Stat News that the best way to advance cancer research is through greater use of data sharing. He’s optimistic that initiatives, such as Sean Parker’s $250 million to establish the Parker Institute for Cancer Immunotherapy, hold promise from their emphasis on collaboration. What stands out in Coburn’s analysis is the often-ignored point that cancer will require many cures. 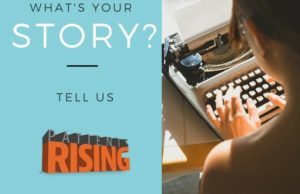 We’re rolling out a new ongoing series here in The Daily Rise. 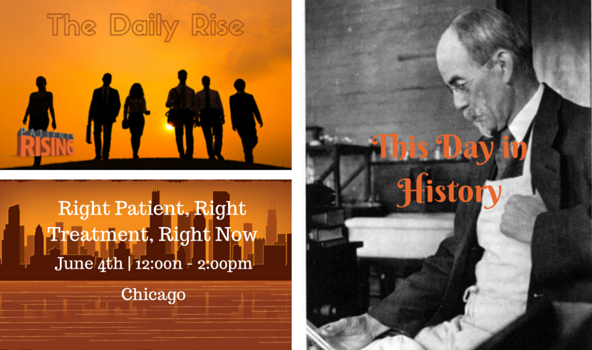 With our “Today in History” section, we’ll share some of the important milestones and historical figures that have helped advance innovation and put patients first. On this date more than a century and a half ago, biochemist and pharmacologist John Jacob Abel was born. The first full-time professor of pharmacology in the U.S. at John Hopkins University, Abel first reported the isolation and crystallization of insulin. Although derided at the time, he conceived of a medical device to clean toxins from the blood and invented the forerunner to the artificial kidney. Join us in Chicago on June 4th as we discuss ways to help patients survive the attacks on their treatments. CLARITY: What Can We Do About It? Patients Rising Policy Director, Jonathan Wilcox brings together patients and patient advocates, as well as nationally acclaimed policy, legal and medical professionals. Together we can get the Right Treatment to the Right Patient Right Now! Wall Street is predicting that the Centers for Medicare and Medicaid Services will ultimately succeed in its plan to slash reimbursement rates for doctors. We’ve been warning patients for months that the plan will reduce patients’ access to treatments as well as harm doctors and community clinics already operating on razor-thin margins. Advocating for patients is a bipartisan issue. Republicans and Democrats on Capitol Hill are joining together in criticizing the proposed changes to Medicare Part B. Let’s hope our elected representatives are able to prevail over the unelected bureaucrats at the Centers for Medicare and Medicaid Services.